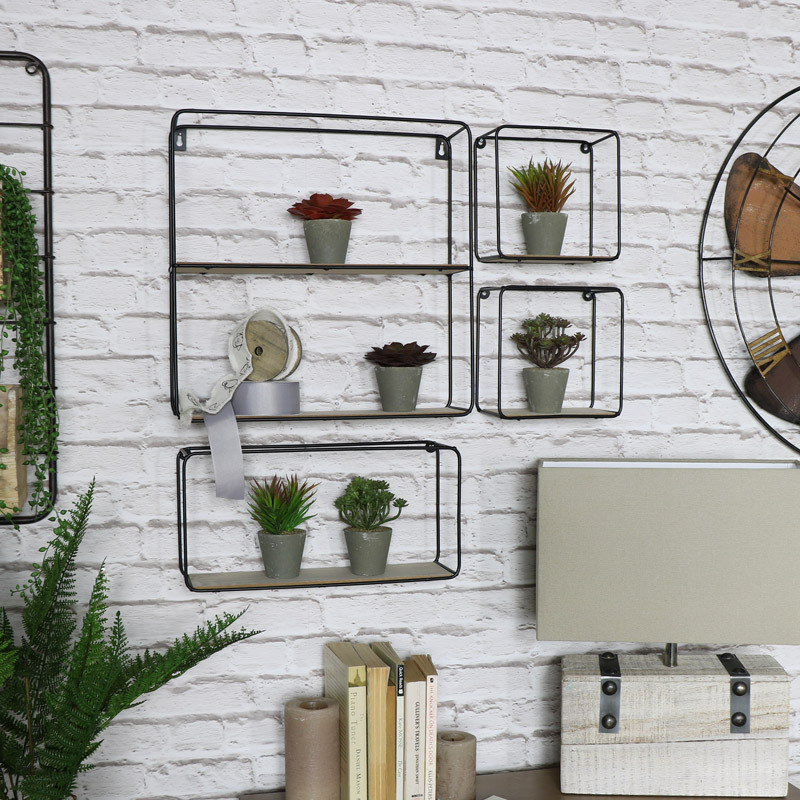 If you need ideas to spruce up your home and add some modern, contemporary styling then these shelves will do just that. In a set of 4 that are just perfect for display in the living room or hallway. These are just great for displaying ornaments, trinkets and giving you a way to display little plants and flowers. Simple but stylish design that adds great character. All the shelves come in a wall mounted design that will be ideal for the bathroom and bedroom too. With 4 wall mounted units in various sizes with the largest unit featuring 2 shelves. The next unit comes in a rectangle shape with the 2 smallest shelve in square design, all featuring an open top. 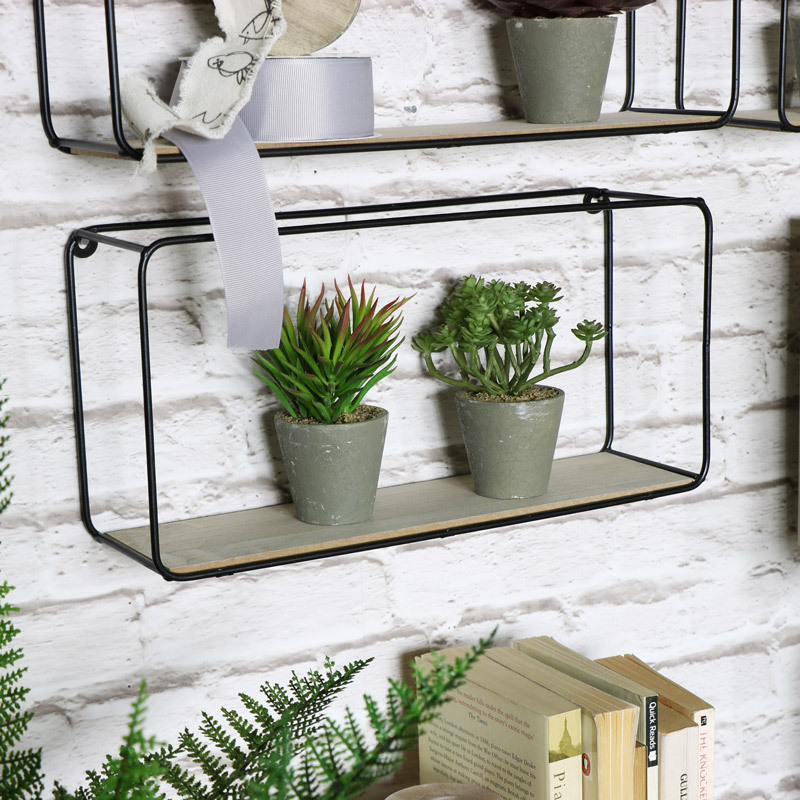 If you need ideas to spruce up your home and add some modern, contemporary styling then these shelves will do just that. In a set of 4 that are just perfect for display in the living room or hallway. 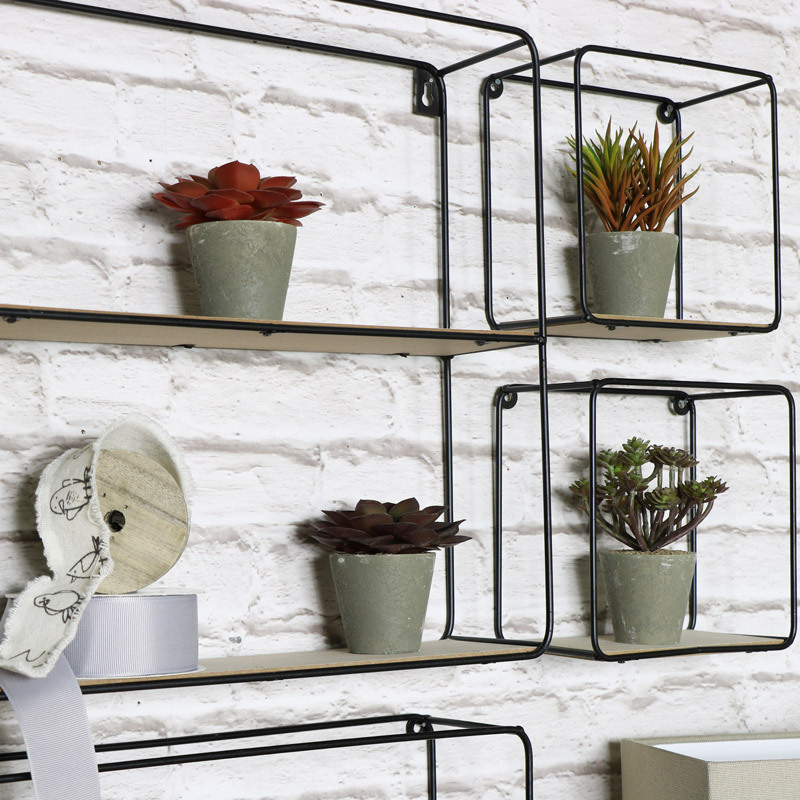 These are just great for displaying ornaments, trinkets and giving you a way to display little plants and flowers. Simple but stylish design that adds great character. All the shelves come in a wall mounted design that will be ideal for the bathroom and bedroom too. With 4 wall mounted units in various sizes with the largest unit featuring 2 shelves. The next unit comes in a rectangle shape with the 2 smallest shelve in square design, all featuring an open top. 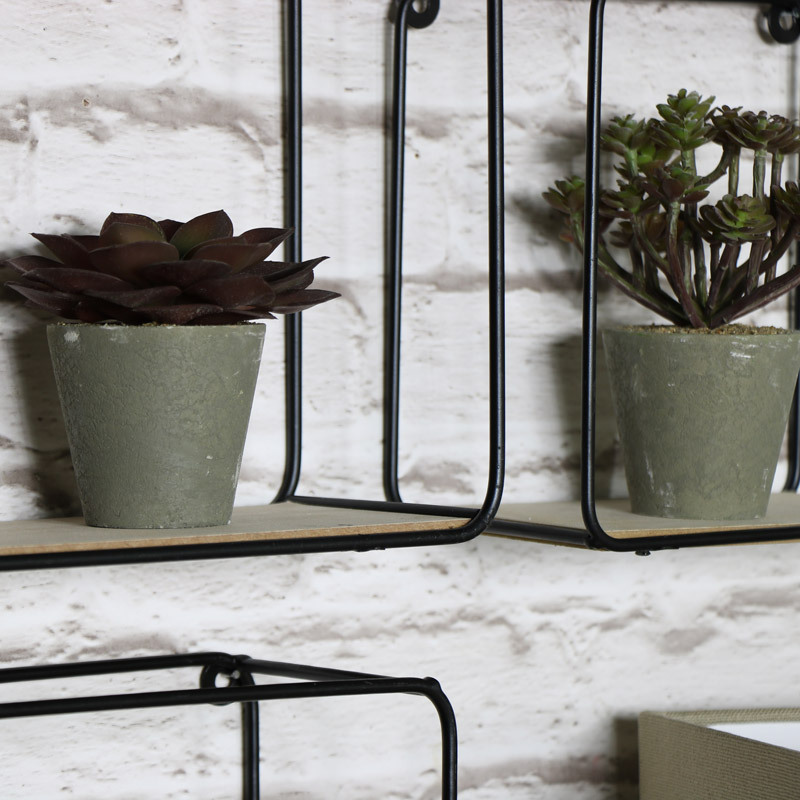 Each unit comes in a wire metal frame and painted in black with natural wood shelves. Each features key hole brackets for easy hanging.